2. OSHA Guidelines for Nursing Homes This 2009 document from the Occupational Safety and Health Administration describes a positive and effective approach to securing management commitment and employee participation towards a successful safer patient handling program. Lifting and transferring challenges, and potential solutions are highlighted. 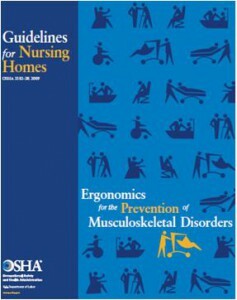 Application of these principles to ergonomics issues in other nursing home departments, such as maintenance, housekeeping, and food service, are outlined. Helpful case studies are included. Click HERE: OSHA Guidelines for Nursing Homes. 3. OSHA has a large section dedicated to Nursing and Personal Care Facilities. Take a look at it HERE. 4. 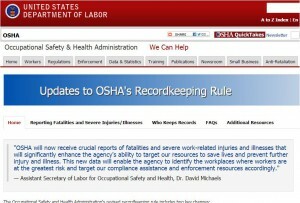 OSHA now has a biweekly E-News update called OSHA QuickTakes. You can subscribe to it free of charge HERE. OSHA REPORTING REQUIREMENTS: OSHA now has updated record-keeping rules that went into effect on January 15, 2015. In addition to a change in how fatalities are reported, all work-related in patient hospitalizations must also be reported within 24 hours. 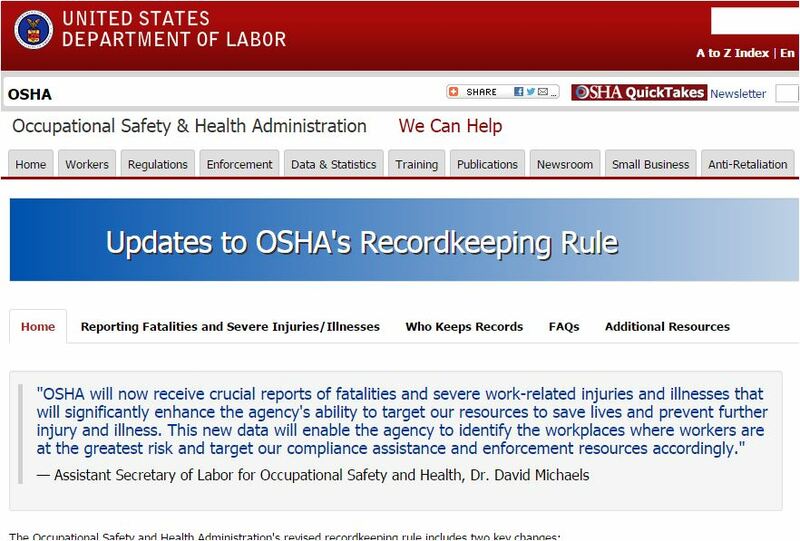 Please go directly to the OSHA Recordkeeping Rule website HERE and updates HERE for additional information.